My friend, Joyce, in Seattle. Ha! What a great idea! Love it. Happy wordless wednesday! I like this shot, but where is it taken?? Ours is up as well, happy WW!! just curious as to what waterfront city that is…. 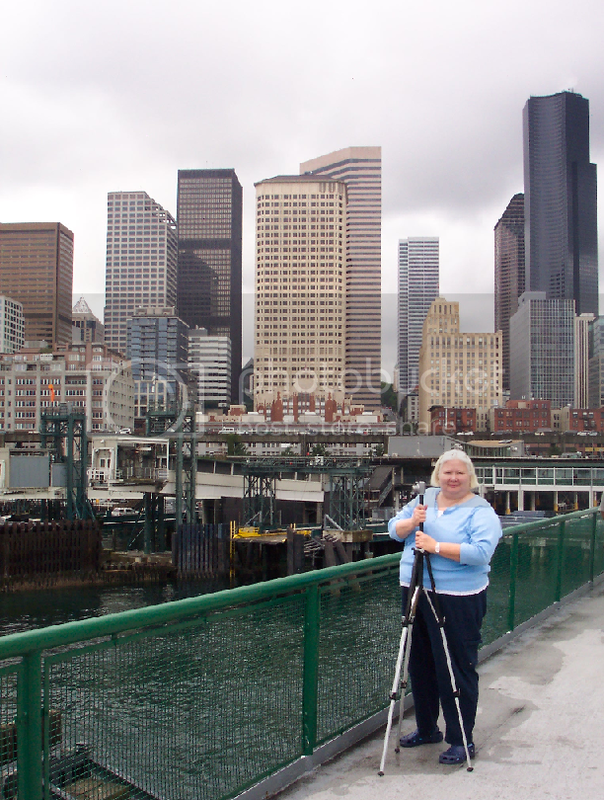 Ellen, I took this shot last month in Seattle just before we got on the ferry. All of this feels within reach, yet the real source of color and interest is the little lady with the tripod! Looks like Boston. Not sure. I was just there this past weekend and I love it there! The weather was so nice and cool! Very nice picture. It definitely requires some photography skills to fit in so much in one picture and still give full importance to the main picture, like the picture of the lady in the snap. Nice shot. I just watched The Fabulous Baker Boys for the first time in ages and it reminded me of how cool Seattle can be.